Richard is a solicitor with the Commercial Litigation & Dispute Resolution team in Hayes solicitors. Richard advises a range commercial clients, state bodies, and private individuals on a variety of commercial disputes, product liability claims, insolvency, enforcement and recovery actions and contract disputes. Richard also has experience in advising on trustee disputes and general commercial matters, including data protection, reviewing and drafting of commercial contracts. Before joining Hayes, Richard worked in the litigation department of an international law firm with a particular focus on defending product liability claims against multinational companies and professional indemnity claims against accountants, engineers and architect. Product Liability - defended High Court product liability claims as part of multi-jurisdictional litigation, liaising with defence teams in other jurisdiction to coordinate defence strategy. Insolvency – advised financial intuitions in connection with a variety of enforcement disputes and debt recovery actions. Commercial Court – acted on behalf of a leading designer and developer of construction products in commercial court proceeding alleging defects in product design and specification. 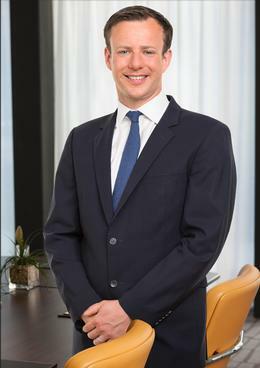 Professional negligence litigation – Richard acted on behalf of professionals on the instructions of their insurers in the defence of professional negligence claims. Personal Injuries – Defended High Court personal injury employer and public liability claims for state bodies, private companies and insurance companies including defending claims for maritime and aviation companies under the Athens and Montreal Conventions.